I recently broke the story of how a peppy bunch of Colorado teachers asked a trio of authors—Alan Katz, Gordon Korman, and myself—to sign ketchup bottles one evening at a recent reading conference. Note: none of our books is about ketchup, or any other sauces for that matter. However, I’m all for originality and, even though I was simply riding coattails of the two authors out of the three whom they’d heard of beforehand, I happily obliged. 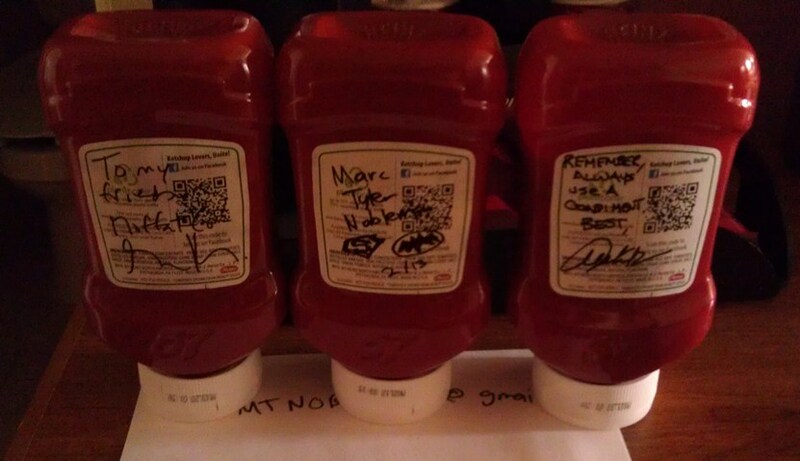 It turns out that the ketchup saga did not end there. One of the teachers brought the (squeezable) ketchup bottle into her classroom at Sandrock Elementary in Craig, CO, which shows how brave she is. We all know how much kids like ketchup. They should make ketchup-flavored toothpaste. She then sent us this wonderful photo, and gave me permission to post it. 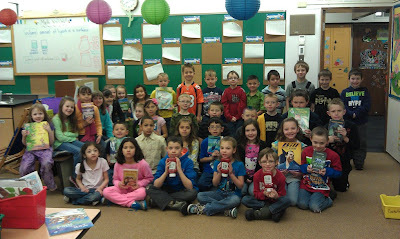 It is her class holding up not only the three ketchups but also books by we three authors. I don’t know where this is headed next, but I do know it’s not the end of this condiment caper. Same-day addendum: Teacher Allison LeWarne shared this post with the kids. She reported back that they were most preoccupied with the notion of ketchup-flavored toothpaste. This inspired a very interesting conversation which ended with the idea of mint-flavored ketchup. You tasted it here first. Condiment Caper..haha. I wonder who will get to sign the mustard and relish? I'll be interested to see what happens to those bottles.